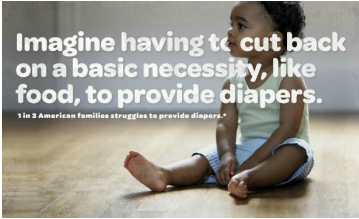 Monthly contributions help guarantee our families free diaper support every month. Every diaper and monetary donation makes a difference to our families and their babies. If you are interested in being notified about an existing diaper drive, hosting a diaper drive or to make a diaper donation please fill in the contact form.